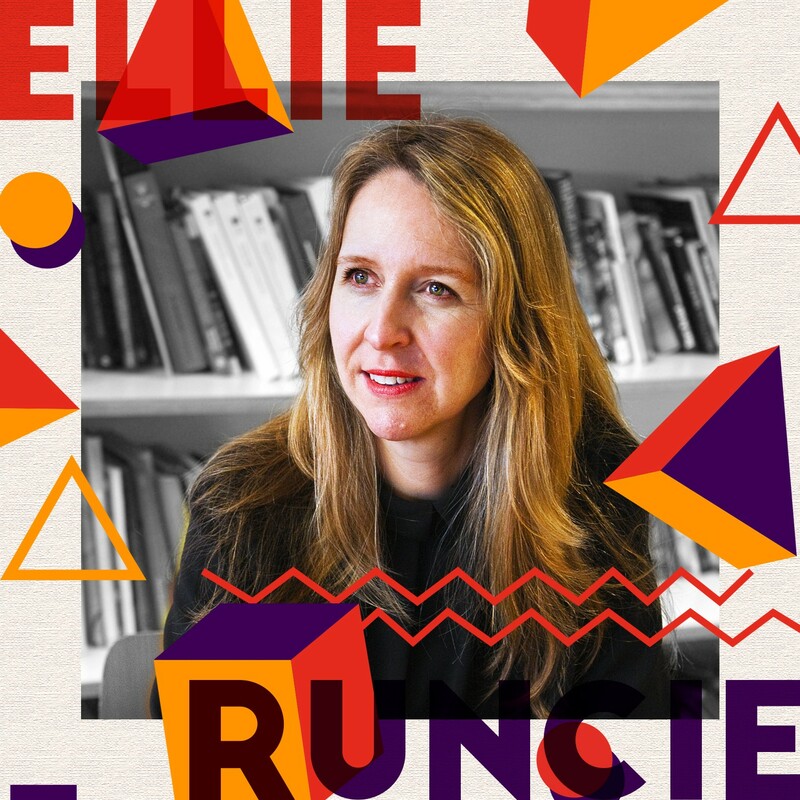 Ahead of her TEDxWarwick talk on the value of design in improving our daily lives, the TEDxWarwick Blog got a chance to speak with Ellie Runcie. Ellie Runcie’s talk can be found here. Interviewer: We can see how great design can change the world, but often times the benefits are restricted to a minority. How can everyone benefit from design and also, how can everyone participate? Ellie Runcie: That’s a great question, I think that at a local level, it’s where local government or local enterprise — organisations, like local enterprise partnerships, actually need to include design in their growth plans locally, so that we’re not leaving people behind when it comes to having an access to a design education. At the moment, design education is not part of the EBacc, which is something that we are continuing to promote and push to the government — that actually you need to get design integral at all key stages of education, not just for higher education. Equally, we want to see design thinking brought into further education, we want to see it as part of the new T Level that is being developed as well. So that, if young people want to go down a more technical route, not just an academic route, that they have exposure to design principles and design thinking as well. Businesses can play a role here, especially in the design industry, the design intensive businesses. We have this thing called open house, up and down cities in the country. As a part of the great exhibition for the North this year, I know that they were exploring opening the doors to some of the great design businesses in the North of England. But, I equally think, local government — hospitals, the public sector, organizations and institutes really could think about how they use design more readily in their own environments, and make the public part of that process. We are doing a piece of work all over the country at the moment, in partnership with Sport England, where we are working with communities, and getting them to think about how design can get the communities more active. So, we’re joining the dots, and we’re getting there, but it’s a long way to go. I: You mentioned education, and in your talk you speak about three skills that are going to be critical to the future — complex problem solving, critical thinking, and creativity. Do you think that in order to institute these further in education we need to revolutionise the system, or do you think it’s simply a few tweaks that are needed? ER: Well, I think we’ll be here for another 100 years if we wait for the system to do it. I think sometimes innovation happens outside of systems, which is why I think design is so great, because you can use design to demonstrate how it could be done and then the system could say ‘hey, I think we need to implement some of that’. One of the things we are doing about that right now is that we run a program called Design Academy. It’s for all ages and stages, and whatever you’re studying in life. We run this program, which is very short and very intensive, where we help people use design and practice design methods to solve a problem. It’s a bit like D-School in the U.S, it’s a part of Stanford University and it gives a very crunchy experience for non-designers about what design is. So we are doing that with universities around the country, but also much more broadly than that. We’re also working with people who are quite established in their careers, as leaders and managers as well. So I think, we do need to change the system and in our role — the Design Council is an advisor to the government on design — we will continue to enforce the conversations in a helpful way with government, just to show them what can happen when you deliver design programs with students. We’ve actually set up design academy to measure the difference in the skills it delivers to students in the course, and we’ve measured them against those three skills, and we’ve shown that students actually critically move all three areas on in their skills. They really advance in complex problem solving, critical thinking and creativity through Design Academy, and that’s only after 4 days. It’s a practice based program and and a very experiential program. It’s not just about what we’re doing. I think we need others out there to find ways to bring design into the system in a very small way, because I think sometimes things can happen just from a small thing. It’s like an acorn, isn’t it, which will hopefully grow into something long lasting. I: So, you speak about how the design council is an advisor to government, do you think the UK will be able to remain a design leader in the future? ER: Well, I think, we can’t be complacent, is the short answer. The reason is that countries like China, India and South Korea have really loved the role that design can play - not just loved, they actually invest significantly in design, their governments invest. I think the upshot is that design courses are right across their educational systems, they are learning as much as they can from how the UK has done it and other countries that are leading the way. So Germany, the US, Switzerland and Hong Kong have always been in our ether as we compare ourselves to the rest of the world in terms of design. We were 5th in the world and this piece of work — Design Economy that we’ve done, we’ve updated this year with the Design Council — shows that our position has slipped to 6th in the world. It’s another indication that there‘s great stories and value coming out for this country but with all the challenges that we’ve got ahead of us, notwithstanding our position in the world but where our future skills are going to come from to help us stay ahead. I: Other than outreach and an understanding of the value of design, how does one inculcate the importance of a design in a young generation? ER: I think there needs to be role models for very young people. So at like primary school we need to have more role models to be bringing to life what we mean by design. I think that when we’re young our parents need to be teaching us the importance of play and experimentation and failure, so getting things wrong before we get them right, which is something we always talk about as iteration as designers. Actually, if we’re not failing then what’s going on, because we learn more from failure arguably, so we need to be learning all of the different variations of this idea and what might break it in order to be truly successful. So: play and experimentation, role models and the principle of making. Design skills are all about empathy at the end of the day, so when thinking about young people, we need to be thinking through how we can be human and design as humans. Also, there is that point about us taking care of each other. We have an ageing population, and we have a potential risk of people in the care system leaving the care system, so how are we all going to make sure that we are working together as a society and taking care of each other? So, I think creating and designing experiences as carers of each other is going to be a more important thing. I: It seems to me that the Design Council’s is quite self-contained to Britain so surely in the globalised economy and world there are other possibilities than just needing to build homes because of our population projection. ER: We [the Design Council] are an advisor to the government in the UK and we’re an enterprising charity. Because we’re an enterprising charity, it means that if we’re helping to solve a problem through design at a considerable scale — let’s say, outside the UK, we will look at that, but we will always think, what’s the benefit of that for the UK, how can we bring that to the UK. So if we’re looking for new models of housing, we will look at it externally, you know learn from who is doing it really well. We’ve got companies like IKEA involved in designing homes for the future, we’ve been talking to them about that. So you know we are really being global in terms of our design perspective, who is doing well and what can we adopt and learn from their successes. I: You talk about doing people-centred research, what does that mean and how do we make sure we do that? ER: If you’re setting up a business you’ll probably need an advisor who will tell you to do your market research before you take the idea forward. So the difference between market research and design research (although they are both fundamentally about the market) is that market research tends to be about large scale numbers to validate weather there is space for your product in the market, it’s statistics, quantitatively driven. Whereas design research is a more qualitative approach, it’s not about understanding volume: it’s about taking a sample of people who might come into contact with your idea, and ideally gathering extremes of those people by considering who will most typically take it up and who are the people most likely to reject it. You need to understand what their objectives are, and the best way to do that is to really understand, live and be in their context; not just survey based research. You need to live a day in the life of your customer. So we introduce people to 10–12 design methods that we call people-centred research approaches and they can use those to help them conjure up examples of what it’s like to be someone in that world and, therefore, build a picture of their needs and wants in a different way, and get a much more detailed picture and intel from that. Keep an eye on this space as more exclusive interviews with our fantastic speakers will be up soon. Thanks for reading!